Heliconia is a genus of flowering plants in the Heliconiaceae. Most of the species are native to the tropical Americas. 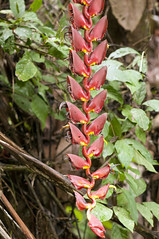 Many species of Heliconia are found in rainforests or tropical wet forests of these regions. 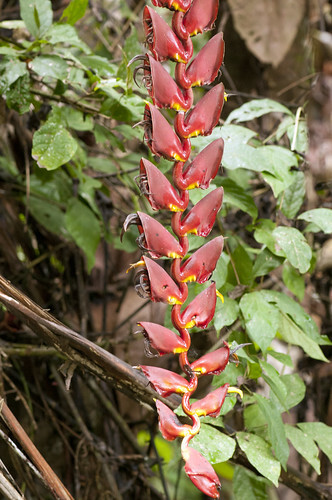 Their flowers are produced on long, erect or drooping panicles, and consist of brightly colored waxy bracts, with small true flowers peeping out from the bracts. The growth habit of heliconias is similar to Canna, Strelitzia, and bananas, to which they are related.The flowers can be hues of reds, oranges, yellows, and greens, and are subtended by brightly colored bracts.